As Joe Pytka prepares to accept the Lion of St Mark at the Cannes Lions International Festival of Creativity, he chats to Campaign to reflect on one of the industry's most dazzling careers. 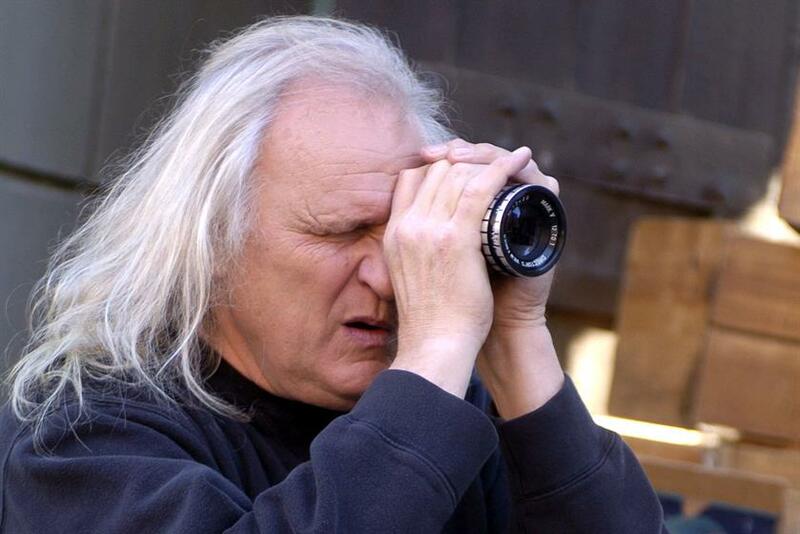 Next month, the directing legend Joe Pytka will be presented with the prestigious Lion of St Mark award at Cannes. The trophy recognises a career that has taken in more than 80 Super Bowl commercials (Pytka has won the USA Today Super Bowl Ad Meter poll seven times, and his "security camera" spot for Pepsi was chosen as the best-ever in the history of the survey), videos for icons such as Michael Jackson, the creation of more than 50 pieces of work in the permanent collection of New York’s Museum of Modern Art, documentaries and a major Hollywood movie. How do you feel about being awarded the Lion of St Mark? Cannes has always been a very important part of my professional and personal life, so the award is breathtakingly fabulous and heart-warming. How did starting your career in documentaries inform your technique in commercials? When I did documentaries, I was part of a team in public broadcasting that searched for the most truthful ways of dealing with the form. We disdained music and narration and had the people tell their stories. It was extremely limiting but forced us to be observant and honest and non-manipulative. Most documentaries now would not survive our scrutiny. What I tried to do was bring visual honesty to the commercials. It was a rough road for a while until I connected with creative people such as Ed McCabe and Hal Riney, who shared that vision. I later met others and was able to keep some of that "integrity" in my work. I still admire that quality in film, especially in the work of the Coen brothers and Michael Haneke. What have you found to be the differences between directing music videos and commercials? The parameters of music videos have been more open. The commercial form is dictated by time limits and restrictions – a tight formula. I’ve had complete freedom in the music-video format. How are the different forms fulfilling? Both have their unique disciplines. The commercial form is like haiku: tight and formal. The music-video form is more "epic", so to speak. Which form have you enjoyed doing most and why? I’ve had wonderful experiences in both. The commercials have taken me around the world many times, both geographically and experientially. The music-video form has allowed me to become an intimate partner to great musicians. Do you think there is anything left to do differently in music videos or has it all been done? Does the music-video format still have relevance? I’ve been away from the form for a while, so I’m not sure of the significance now. When I worked with Michael Jackson, we experimented with narrative flow and longer-form videos, notably with The Way You Make Me Feel. After that, Michael and I spoke of doing a version of West Side Story set in a similar urban environment, but we couldn’t move forward on that project at that time. Michael also did Smooth Criminal trying to move the form in a larger direction but, for some reason, he was unable to. When I rescreen The Way You Make Me Feel, I lament that we never followed up on our initial instincts. This is a long way of saying the music-video form still can have relevance, but it needs a powerful voice to take it there. I’m not sure there is anyone with Michael’s blend of creativity and power that can move that needle. Which Super Bowl ad are you most proud of? When it comes to Super Bowl ads, it’s tough speaking of a favourite. I really like the Pepsi "security camera" spot because of its simplicity, but the ones I did with Michael Jordan, Larry Bird and Bugs Bunny contain very fond memories. 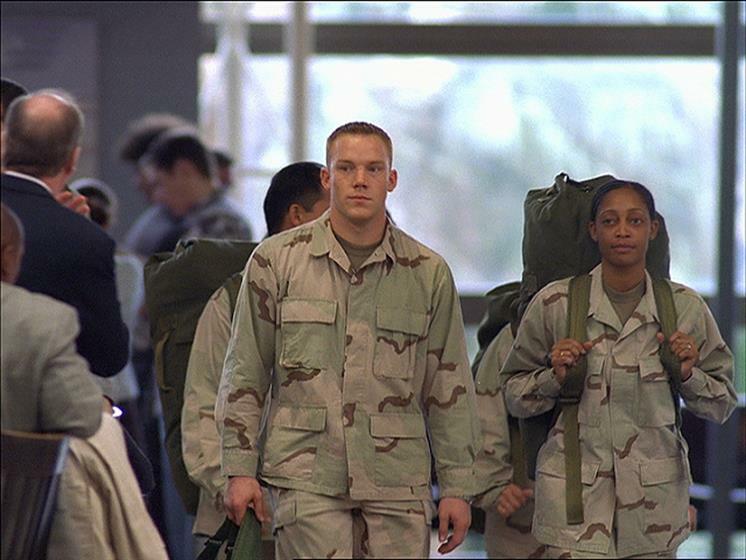 I also have a warm place for the Anheuser-Busch InBev spot "applause", about returning servicemen in an airport. And who cannot love the Clydesdales? Sorry, but I can’t really choose. Do you think Super Bowl advertising is still relevant? When you have an audience of more than a hundred million people in the US alone, you have relevance. 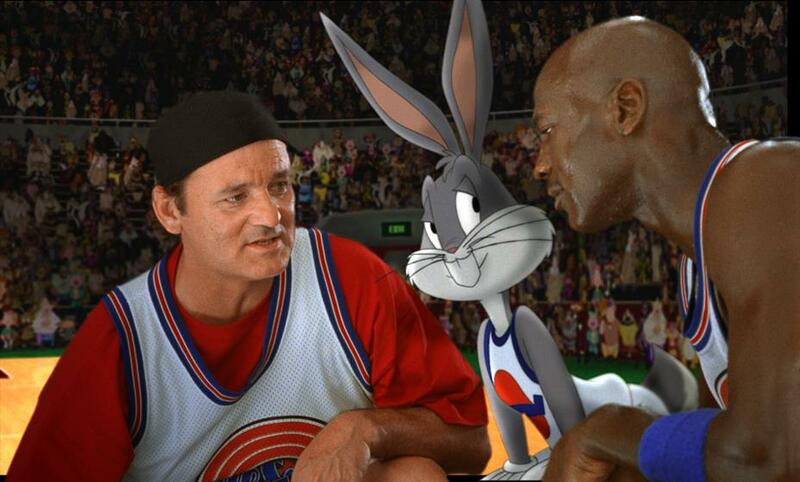 Given the success of Space Jam, why haven’t you directed more movies? I haven’t done more because my family was more important than spending several years on a film. I only did Space Jam because it was in Los Angeles and my daughters were at an age that they would enjoy the film, and they did. Having collaborated with Jackson so much, were there tensions of working with another highly creative individual and, if so, what were they? Working with Michael was the creative high point of my professional life. Michael was the most caring and instinctively creative person I have ever met. Once you gained Michael’s trust, he supported and respected you unlike anyone I have met. He loved creative people and supported and trusted them, but he demanded the truth from you. His charisma and genius affected everyone around. Before The Way You Make Me Feel, I did a short documentary to show him the way guys and girls behaved in the place he felt the piece should occur. It was a very rough documentary-style, shaky camera etc. After seeing it, Michael said he wanted the video to have that kind of raw truth, almost echoing the term "cinéma vérité". I assured him I could do it if he really wanted that. Years later, when we discussed Heal The World, I made the rather bold statement that he shouldn’t be in the piece. Without missing a beat, he just agreed. I know that he was unhappy with several videos that he made, but he never complained and accepted the decisions he made by choosing those film-makers. There will never be another like him, and I will always miss him. How do you juggle commercial imperatives with creativity? Juggling commercial imperatives with creativity is becoming much more difficult. Clients are becoming much more risk-averse. I try to infuse "creativity" wherever there is any slight opportunity, usually through casting and sometimes rewriting scripts that need some freshness. Also, I look for opportunity during the process. Good actors can come up with solutions as well, and I call them "actors’ saves". I’ve been criticised for using the same actors over and over, but I do that because I can depend on them to come through in many ways. I always admired the director John Ford, and he used the same performers in most of his films. I’m most proud of my two daughters. What advice would you give to the next Joe Pytka? The only advice I can give is to do your best and stand your ground. If you do your best, you can look anyone in the eye. If you stand your ground and believe in your work, any success will be yours. Of course, there is the risk of offending the people you are working for but, if you don’t believe in your own work, you will never be satisfied. You’ll just be a tool for others. Of course, there’s a fine line of behaviour involved and you must respect those who have entrusted you with their problem, but you have to make the work "yours".